I had been search for this monster for years and years... Today was my day. I got one. Great job!!! Got any measurements on that thing? Nice catch! Those flatties are really awesome fish. Your search for a trophy has now be extended somewhat. The head on that fish is bigger than yours! I am happy for you for catching it, a testament to your perseverance. And did you enjoy the learning process to get you that fish? Hope it came on a large mouth. 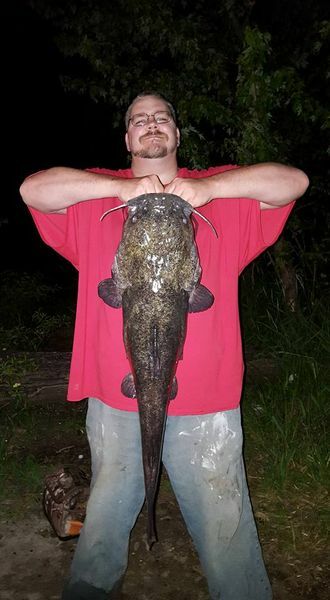 my son loves to go out for flathead. that's a beaut! Chitown-Angler was started on February 10, 2003 and has received 207587059 page views in total since that date.